An IC based voltage regulator can be classified in different ways. A common type of classification is 3 terminal voltage regulator and 5 or multi terminal voltage regulator. Another popular way of classifying IC voltage regulators is by identifying them as linear voltage regulator & switching voltage regulator. There is a third set of classification as 1) Fixed voltage regulators (positive & negative) 2) Adjustable voltage regulators (positive & negative) and finally 3) Switching regulators. In the third classification, fixed & adjustable regulators are basically versions of linear voltage regulators. Switching regulators differ in design,construction & operation compared to linear voltage regulators. In switching regulators the output voltage is regulated by controlling the switching time of feedback circuitry (which includes a reference voltage); that is by adjusting the duty cycle. 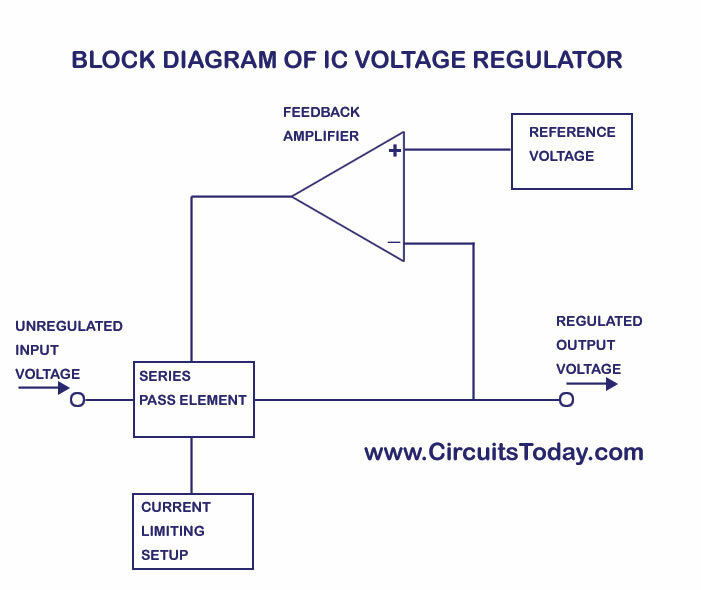 Note:- This article is an incomplete version of IC voltage regulators. We will be updating this article very soon with respective circuit diagrams & graphical representations. Stay tuned!